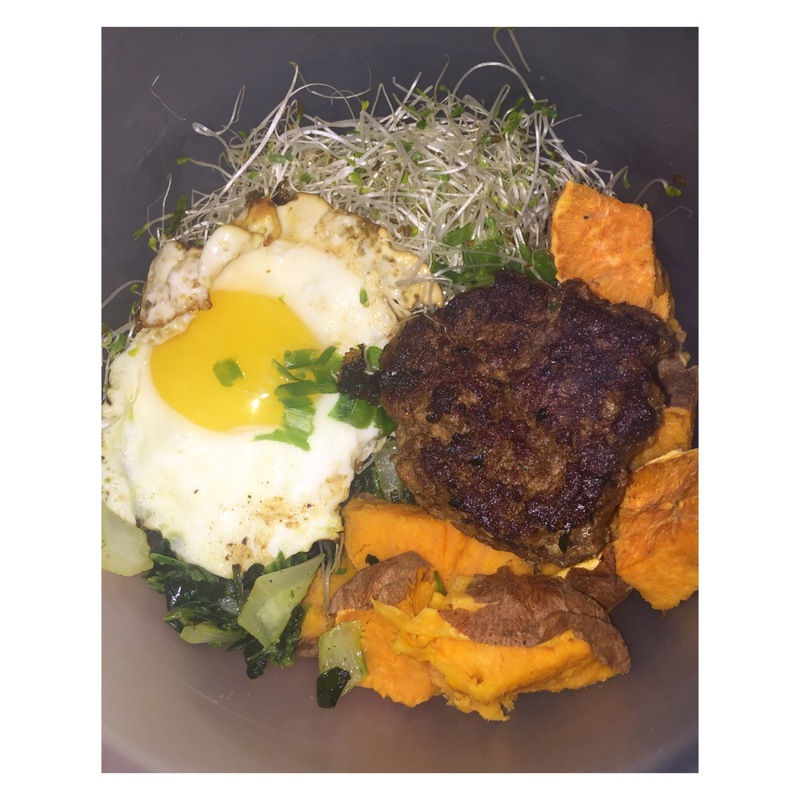 Liver, Sweet Potatoes, and Paleo! My coworkers think it’s funny and ask me if everything is paleo. “Hey Suz, is this paleo?” “Hey Suz, I’m eating out of a plastic container – totally paleo right?” “We’re having Chinese food tomorrow, is Chinese food paleo?” It’s light hearted and makes me laugh, but it makes me think about how some nutrition strategies can be so foreign to some. Paleo is pretty simple, but it’s going to be a learning process – I’m sure I’ll be eating things that aren’t totally paleo – until I learn the ins and outs. Also, before really making the decision to remove gluten and follow a more paleo style I purchased some meal replacement bars that are low carb but definitely not gluten free or paleo, and a box of quest bars – that are gluten free but probably wouldn’t meet the paleo standards. Being that I don’t have a lot of extra money laying around and I literally can not stand the thought of wasting food, I plan to continue to eat these bars until they are gone, and then look for alternative quick meal bars for work. As a licensed vet tech (vet nurse) I often have to eat on the run, and meal replacement bars become a staple – it’s either that or eating the donuts that were brought by a client. For more info on paleo click here. There’s a lot of info out there – a simple google search will do, but the website in the link above is pretty comprehensive and also has a link with research. For more info on gluten free I really suggest you read the book Wheat Belly by William Davis. It explains why one would consider taking wheat (gluten) out of their diet even if they do not have celiac disease. 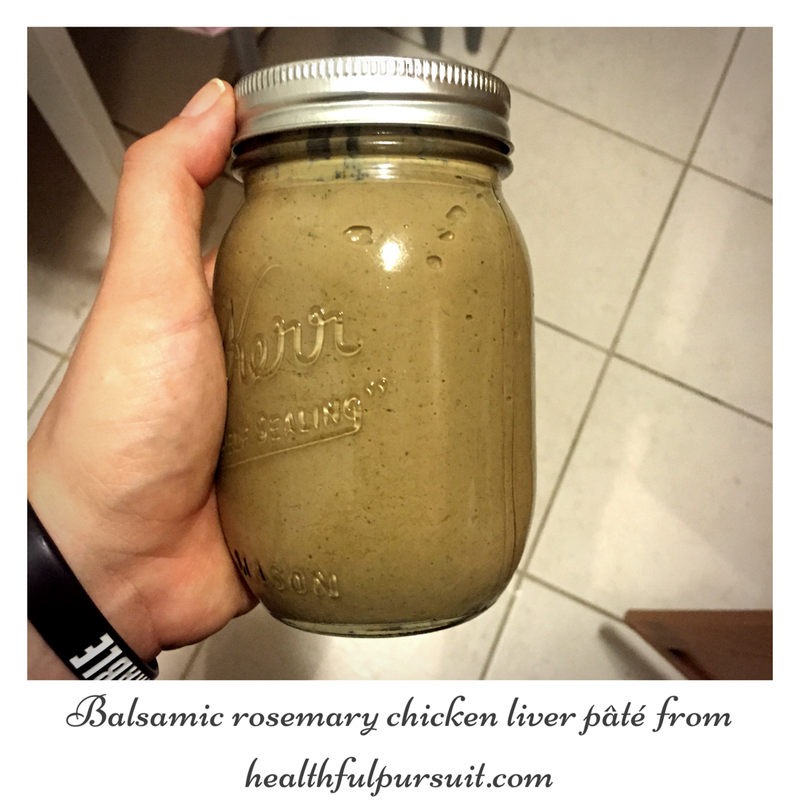 Anyway, yesterday I mentioned that I was going to try to make a recipe with liver… Well, I made it, and it’s not bad! I only tasted it warm so I’ve put it in the fridge to cool so I can try it as the dip/pâté it’s meant to be! Want the recipe!!?? Check it out at healthfulpursuit.com it was a little bit messy but that’s because I don’t have a big blender! Shout out to my coworker Becca for the mason jar! For breakfast I had a beautiful veggie bowl that I concocted myself! I was so proud of myself I didn’t want to eat it it was so pretty! It consisted of alfalfa sprouts, kale and spinach sautéed with chopped onions, a half of a sweet potato, 1 egg, and 1 meatball that I got from the super market (it’s grassfed beef that comes in small round balls that I got at the local hannafords). It was so good! I’m really getting the hang of cooking! I ate my breakfast or first meal around 12, I wasn’t really hungry and sort of fasted without really intending to. Feels like eating this way will have me slowly and effortlessly easing into intermittent fasting as well. Anyway, I ate one of my bars for “lunch” and a few hours later had a banana and another bar. We were busy and a client brought us brownies so I was glad I had my bars as my emergency snack! For dinner I made some sweet potato and kale hash – I got the recipe from Fitfoodfinds.com and kind of just threw things in the hash – I didn’t have a red pepper so I used a green bell pepper, and I had some left over leeks from the liver pâté so I threw those in there! The balsamic really gave it the kick it needed at the end and I added some chicken legs marinated in a chipotle seasoning packet (I made sure it didn’t have sugar – it was a store brand). My husband loved dinner so much he had to post a photo on instagram! Ha! All in all today was a pretty good day. I actually wasn’t even hungry for dinner. I will say I have to lighten up on the coffee at work, I have small cups but 2-3 is a bit too much. I wasn’t tired today at all, so I’m not sure what that was about but I’m taking it one day at a time and will be better tomorrow! Well, that’s it! Gluten free and paleo journey is just beginning and I feel pretty good! I can tell my energy is much better, my inflammation feels less and I feel lighter. I jumped on the scale today even though I didn’t want to just to see where I’m at and I wasn’t exactly happy with the number, but it didn’t upset me or make me want to give up. I feel like my mind has finally shifted, and this is do-able. Plus, I haven’t had a headache all week!! Not sure what recipes I have planned for tomorrow but I have some left over sweet potato hash from dinner so I’ll probably add an egg to it for breakfast or maybe some of that beef like this morning! My doc is buying the service Chinese food so I’ll have to see if I can navigate through that! 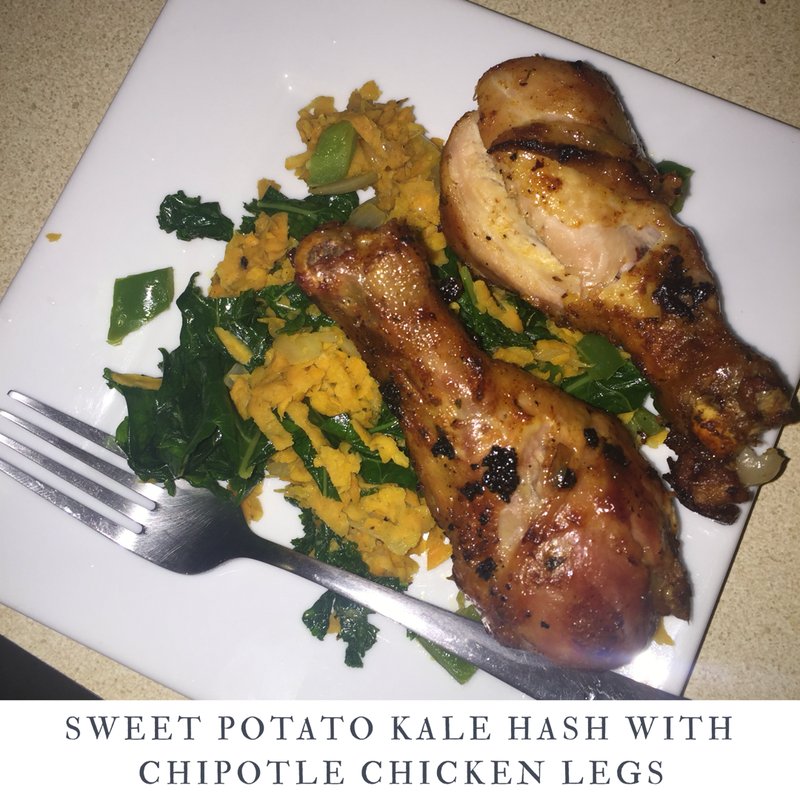 Previous Post Gluten free AND Paleo?